English novelist Emily Brontë was Born 30th july 1818 in Thornton, near Bradford in Yorkshire, Emily was the third eldest of the four surviving Brontë siblings and the younger sister of Charlotte Brontë, and published under the pen name Ellis Bell. when Emily was three years old, the older sisters Maria, Elizabeth and Charlotte were sent to the Clergy Daughters’ School at Cowan Bridge, an experience later described by Charlotte in Jane Eyre. When a typhus epidemic swept the school, Emily was removed along with Charlotte and Elizabeth, who sadly died soon after their return home. From then on The three remaining sisters and their brother Patrick Branwell were educated at home by their father and aunt Elizabeth Branwell, their mother’s sister. In their leisure time the children created a number of fantasy worlds, which were featured in stories they wrote and enacted about the imaginary adventures of their toy soldiers along with the Duke of Wellingtonand his sons, Charles and Arthur Wellesley.When Emily was 13, she and Anne began a story about Gondal, a large island in the North Pacific. Sadly most of their writings on Gondal were not preserved, although Some “diary papers” of Emily’s have survived in which she describes current events in Gondal. At seventeen, Emily attended the Roe Head girls’ school, where Charlotte was a teacher & stayed three months before returning home. At this time, the girls’ objective was to obtain sufficient education to open a small school of their own. In September 1838 Emily became a teacher at Law Hill School in Halifax, Unfortunately the stress of the 17-hour work day took it’s toll and she returned home in April 1839 staying at home & teaching Sunday school. In 1842, Emily accompanied Charlotte to Brussels, where they attended a girls’ academy in order to perfect their French and German before opening their school. In 1844, Emily began recopying all the poems she had written neatly into two notebooks & In the autumn of 1845, Charlotte discovered the notebooks and insisted that the poems be published, then Anne revealed she had been writing poems in secret and In 1846, the sisters’ poems were published in one volume as Poems by Currer, Ellis, and Acton Bell ( these being the pseudonyms they had adopted for publication). 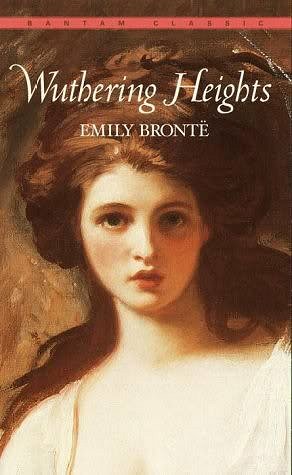 In 1847, Emily published her novel, Wuthering Heights. Wuthering Heights features Mr. Earnshaw, who lives at Wuthering Heights with son Hindley and younger daughter Catherine. On a trip to Liverpool, Earnshaw encounters a homeless boy, Whom he adopts and names Heathcliff. Hindley becomes bitterly jealous of Heathcliff. Catherine and Heathcliff become friends and spend hours each day playing on the moors. Hindley is sent to college. Three years later Earnshaw dies, and Hindley becomes the master of Wuthering Heights. He returns to live there with his new wife, Frances. He allows Heathcliff to stay but only as a servant, and regularly mistreats him. A few months after Hindley’s return, Heathcliff and Catherine walk to Thrushcross Grange to spy on Edgar and Isabella Linton, who live there. Catherine is injured by the Lintons’ dog and taken into the house to recuperate, while Heathcliff is sent home. Catherine stays with the Lintons. Catherine is influenced by the Lintons elegant appearance and genteel manners. When she returns to Wuthering Heights, her appearance and manners are more ladylike, and she laughs at Heathcliff’s unkempt appearance. When the Lintons visit, Heathcliff, dresses to impress Catherine, but he and Edgar Linton get into an argument and Hindley locks Heathcliff in the attic. Catherine tries to comfort Heathcliff, but he vows revenge on Hindley. Frances Earnshaw gives birth to a son, named Hareton, but she dies a few months later and Hindley becomes an alcoholic. Catherine and Edgar Linton become friends, and he visits Catherine while Hindley is away. They gradually fall in love and Edgar soon Proposes to Catherine, although her love for Edgar is not comparable to her love for Heathcliff, whom she cannot marry because of his low social status and lack of education. Catherine attempts to raise Heathcliff’s standing. However this goes wrong and Heathcliff leaves. Distraught over Heathcliff’s departure, Catherine becomes ill. Eventually Edgar and Catherine marry and move into Thrushcross Grange. Later on Heathcliff returns, now a wealthy gentleman. Catherine is delighted, but Edgar is not. Edgar’s sister, Isabella, falls in love with Heathcliff, who despises her. Heathcliff embraces Isabella to make Catherine Jealous, which angers Edgar and upsets Catherine. Heathcliff takes up residence at Wuthering Heights and spends his time gambling with Hindley and leading Hareton astray. Hindley loses his vast fortune and mortgages the farmhouse to Heathcliff to pay his gambling debts. Heathcliff elopes with Isabella Linton. Heathcliff and Isabella return to Wuthering Heights, where Heathcliff hears that Catherine is pregnant and dying. Catherine subsequently gives birth to a daughter, Cathy, shortly before dying. After Catherine’s funeral, Isabella tells Nelly how glad she is that Cathy died and that she has left Heathcliff. Edgar overhears and evicts Isabella who eventually finds refuge in the South of England where she gives birth to a son, Linton. Hindley dies six months after Catherine, and Heathcliff thus finds himself master of Wuthering Heights. Catherine’s daughter Cathy grows into a beautiful, high-spirited girl. Edgar learns that his sister Isabella is dying, so he leaves to retrieve her son Linton in order to adopt and educate him. Upon visiting Wuthering Heights Cathy discovers that she has not one but two cousins: Hareton, in addition to Linton. Heathcliff insists that Linton come to live at Wuthering Heights. Nelly and Cathy encounter Heathcliff on the moors, who takes them to Wuthering Heights to see Linton and Hareton. Heathcliff hopes that Linton and Cathy will marry, so that Linton will become the heir to Thrushcross Grange. Linton and Cathy begin a secret friendship, echoing the childhood friendship between their respective parents, Heathcliff and Catherine. sadly Edgar becomes very illwhile Nelly and Cathy are out on the moors, where Heathcliff and Linton trick them into entering Wuthering Heights. Heathcliff keeps them captive to enable the marriage of Cathy and Linton to take place. After five days, Nelly is released and later, with Linton’s help, Cathy escapes and returns to the Grange. Now master of both Wuthering Heights and Thrushcross Grange, Cathy’s father-in-law, Heathcliff, insists on her returning to live at Wuthering Heights. Soon after she arrives Linton dies And Lockwood leaves Thrushcross Grange. Eventually Lockwood returns to Thrushcross Grange amd finds Nelly living at Wuthering Heights and discovers that Hareton has an accident and Heathcliff died and learns that Hareton and Cathy plan to marry. This years Severn Valley Railway Classic Car & Bike Day takes place on Sunday 30 July at Kidderminster, Highley Bewdley & Bridgnorth Sations and features approximately 200 vehicles on display. There are also cars on display at Arley & Highley Stations aswell as an impressive line-up of classic & vintage motorcycles on display at Hampton Loade Station. From Ford to Fiat, Jaguar to Lotus, Rolls Royce to Triumph, and VW Camper to Heinkel Bubble Car, there will be up to 150 vehicles in attendance. Cars in previous shows have include a Bentley 3 Litre, 1926 Cluley, a 1926 Rolls-Royce, an Austin Maxi, Bentley & Rolls-Royce Classics, a rare 1934 Hillman Aero a 1920s Austin Seven Tourer. E Type Jaguar, Jensen Interceptor, 1960 Messerschmidt 200, Morris Minor 1000, Austin A40, Ford Zephyr, Vauxhall Viva, Austin 7, Hillman Minx, 1922 Rolls-Royce Silver Ghost, 1925 Bentley, 1934 Lagonda 16/80 & 1953 Armstrong Siddeley. 1959 Heinkel Bubble Car, MG TA, Daimler Dart, Jaguar XK150, Morris Minor Police Car, Austin Burnham, a Rover 10, Ford Consul, Riley RME, Triumph Mayflower, Alvis TE21, Triumph Roadster, Vauxhall Cresta, Austin 7, MG TA, Morgan 4/4, Jaguar S type, Wolsley 12/48, Morris Minor Traveller, Land Rover, Hillman Minx, Ford Capri, Lotus Elise, Austin A35, Ford Zephyr Zodiac, MG Magnette, Austin Cambridge, Daimler Dart, Jensen Interceptor, Austin Healey Sprite, Rover 10, Rolls Royce and a Jaguar XK12.